We deliver on the promise of innovation to enable the global insurance market to move forward. With up to 30% savings in frictional costs, businesses can increase margins and offer lower premiums, delivering an immediate competitive advantage and greater value to the insureds. ChainThat beats technology giants including Microsoft and Infosys in London market blockchain pilot. "ChainThat has been featured in that latest release of Insurance CIO Outlook as one of the Top 10 Blockchain Solution Providers 2018." 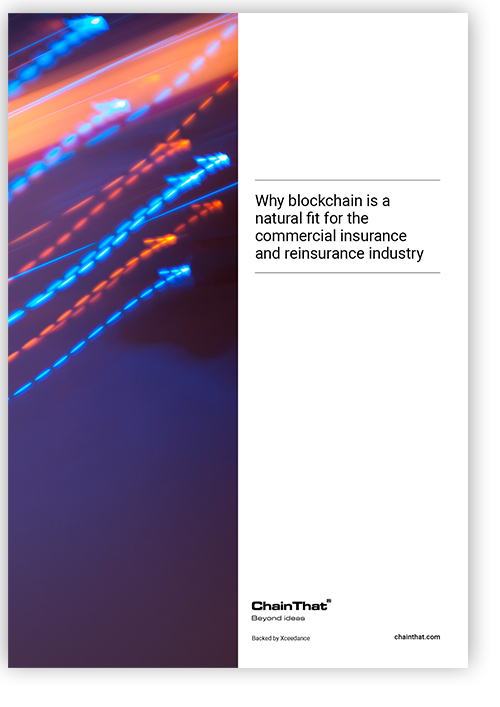 Insurance is one of multiple business sectors which will see profound changes to its operational processes driven by blockchain and distributed ledger technology. While these technologies have existed for more than a decade, an increasing need to reduce the expense base and increase operational efficiency across the insurance sector is now driving increased awareness of the role these tools can play in the industry. Tell us a bit about you so we can provide you with more relevant information. One of ChainThat’s available products is our ‘Facilities’ platform. This application supports the placement and negotiation of a Facility contract and its terms between broker and a panel of (re)insurers and then supports the placement of individual risks under the facility’s terms with that panel. 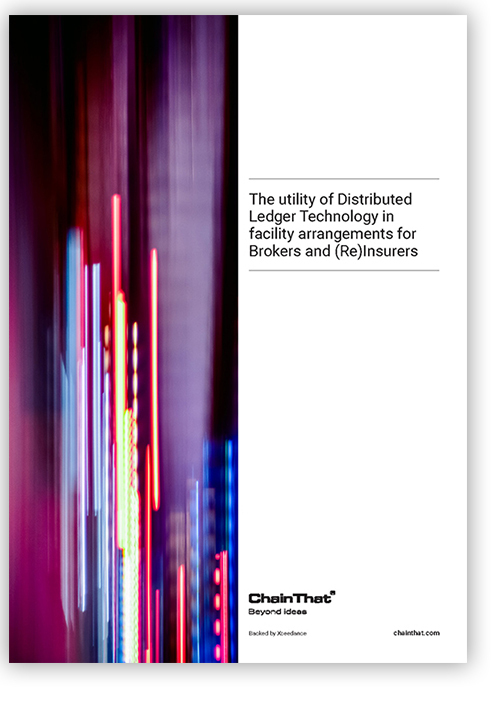 This provides a comprehensive and flexible solution that supports both the broker’s and carriers’ needs for sharing and coordinating data within these facility type arrangements. These facility arrangements have become increasingly commonplace, consequently, this article looks at the rise of Facilities and the challenges these arrangements bring. ChainThat is an insurance blockchain solutions provider. We work with business leaders across the insurance industry who have a problem extracting business value from technology. Our solutions deliver real, transformational, business efficiency by co-ordinating and streamlining operational processes across business networks. Our technology allows you to leverage Distributed Ledger Technology (DLT) and smart contracts to cut frictional costs, boosting combined operating ratios. Isn’t it time you started releasing the value trapped in your chain?